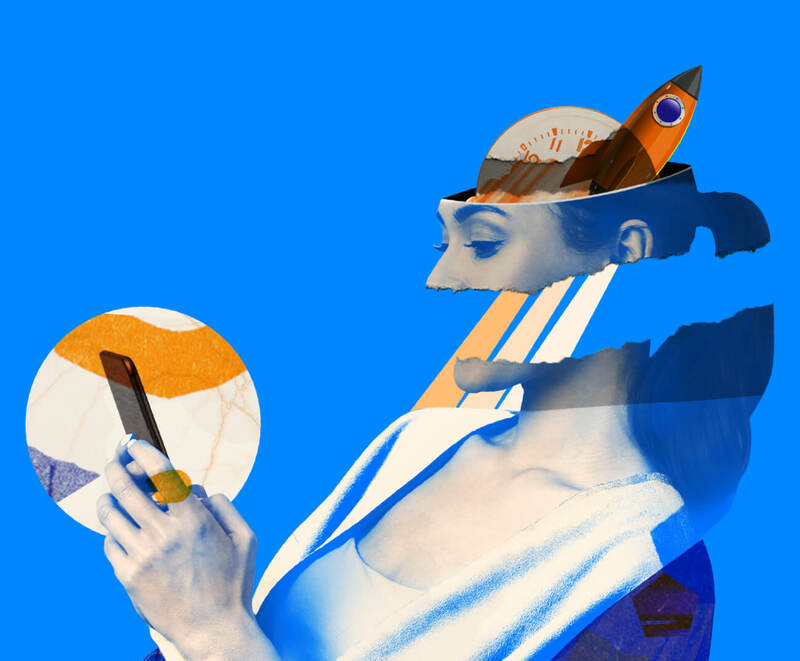 Over October/November 2018, Unbounce surveyed 750 consumers and 395 marketers, and—while both groups already know slow page load times affect consumer behavior—nobody’s doing enough to avoid the consequences. Although they know it’s important, the majority of marketers aren’t making page speed a priority. Page speed should concern marketers, but does it? Over the past three years, the average web page has doubled in size1 while connection speeds have remained stable. And so, the average time it takes for a page to load on mobile is now 15 seconds.2 Given that more than half of visitors leave a page if they’re forced to wait longer than 3 seconds,3 marketers need to get faster. Based on this check-in, 85% of participants’ landing pages were slower than Google’s recommendation of 5 seconds or less at a 3G connection.4 That’s not good news. Most marketers aren’t hitting speeds that put them in Google’s good books. Because they’re too slow, they’re likely paying more than they need to for their search ads—and disappearing completely from organic search results. Web pages don’t have loading bars. So when the page is slow, the visitor doesn’t know if the delay will be another 500 milliseconds or 15 seconds. Maybe it will never load. And the back button is right there. But we wanted to know more. Our team wanted to know what both marketers and their customers think when it comes to load times and what obstacles marketers face when trying to speed up. Do both groups believe page speed influences consumer behavior? If so, what’s the nature of this influence? For marketers, how much of a priority is improving page speed? What are they doing (or planning on doing) to improve it? And what do marketers think about Accelerated Mobile Pages (AMP)? Do they know what they are? We asked 750 everyday people about what happens when web pages are slow to load. Turns out they react in all sorts of ways that negatively affect your conversions. When it comes to waiting, most consumers think they’re more patient than they actually are. Almost three-quarters of the shoppers we surveyed claim they’ll wait 4 or more seconds before abandoning a page. But that’s not what Google says: remember, actual user behavior shows most people bounce after 3 seconds. Nearly 70% of consumers admit that page speed influences their likeliness to buy. When it comes to browsing ecommerce sites, many people say they’re less likely to make a purchase (or even less likely to return in the future) if loading time is slower than expected. If you want them to buy your product, you need to ensure your site loads as quickly as possible, especially on a mobile phone. East Coasters are less likely to buy from slow sites compared to West Coasters. Of the consumers living in New York, 82% admit that speed influences their decision to make a purchase, while only 60% of Californians agree that it influences them. Young women want more from ecommerce. Far more young women (18-24) say they’ll close a tab and stop shopping than men of the same age. In this age bracket, 86% of women (compared to 14% of men) said they’re less likely to buy when a page is slow. Half of all people say they’d be willing to give up animation and video for faster load times. All those beautiful animations and videos that marketers love? Turns out a majority of your visitors don’t see much value in these elements if it’s going to slow them down. Heck, a quarter of respondents say they’d be willing to give up images as well! Think carefully before you include anything in your design that will slow your page down. If it doesn’t serve a purpose, consider cutting it. What happens when people get frustrated? Almost half of consumers say they’ll try to refresh a page at least once when it takes 3 seconds to load. But 22% say they’ll close the tab, and 14% say they’ll visit a competitor’s site. If you count on 1000 daily visitors, that’s 360 potential customers gone. Yeesh. Right now, it’s true that most people credit slowdown on factors outside of your control (like their internet provider). And hey, that’s good. But as more online brands improve performance, it’s likely that sites that stay slow will start to shoulder more of the blame. Businesses should be careful about trying that patience as these are also platforms where people are eager and determined to get stuff done. Whether it’s top-funnel activities like researching a purchase or deep-funnel activities like making one, consumers don’t like to wait. Young folks have much shorter attention spans on their mobile than they do on desktop. It’s no surprise that millennials crave instant gratification, especially when on their phones. 45% of 18-to-24-year-olds say they’ll wait 4-6 seconds on their computers, but only 26% of this age group will wait that long on a cellphone. Takeaway: Speed matters to your prospects, so it should matter to you. Our survey results show that the load time of a page can impact how a visitor will interact with it in significant ways. Ideally, a page should load in under 3 seconds, even on mobile, so creating a speedy visitor experience should be your priority. That’s why Unbounce automatically optimizes our landing pages for fast delivery. 81% of marketers know speed influences their conversions, but they’re not making it a priority. 49% of marketers say they plan to spend $50,000 or more—sometimes way more—on their digital marketing this year. A majority also agree that improving load times is at least somewhat urgent. Only 3% of marketers say faster loads are their top priority in 2019. Page speed is one of the most overlooked and yet most important factors in customer attention, retention, and ultimately, converting browsers to buyers. Ensuring that you’re taking measures to increase page speed or reduce lag can be the difference between failure and success. Page speed should be higher on your list. If you’re planning on refining your ad targeting or your copy, but you still have slow pages, you’re essentially refining your Google Ads while spending more than you should (because Google will penalize your slow-loading pages). Fewer people will see your landing pages. Many marketers are unsatisfied with their page speed, and most have taken some steps to improve it. While improving load times isn’t their number one priority, marketers are taking some steps—if only optimizing images—to deliver faster speeds. Only 56% say they’re satisfied, though. …but what are marketers doing to get faster? 57% say they’ve optimized images, video, or other media files. 43% have implemented back-end fixes like improved caching and hosting solutions. 39% have run speed audits using Google Lighthouse or other tools. 22% implemented Accelerated Mobile Pages (AMP) in some capacity. 14% began using a Content Delivery Network (CDN). Most marketers know what load times they should target, but are they getting there? A significant number of marketers say that 2-3 seconds is an acceptable load time, which is right on target with Google’s recommendation. Remember, though, that 85% of participants at CTAConf showed us landing pages slower than Google’s recommendation of 5 seconds or less! Speed improves your ability to rank well in search engines, the likelihood someone will amplify your work, the reach of your pages to those with slower connections, the percent of visitors who won’t hit that back button, and the odds that someone will feel elation versus frustration while using your site. More reasons to speed up. In this report, we explore how load times impact consumer behavior (and, yes, your conversion rates). But thanks to incentives from Google, getting faster pays off in other ways too. By improving performance, you can expect better Quality Scores in Google Ads and higher organic search rankings. Takeaway: We marketers know that getting faster is essential, but we’ve had other priorities. Conduct a speed audit. Run your pages through Google’s PageSpeed Insights or Unbounce’s Landing Page Analyzer to see how they stack up. Ensure all your media (images, videos, etc.) is optimized for mobile. Use smaller file types, like SVG, whenever possible. Remove unnecessary plugins, add-ons, and scripts. Think hard about what you need to include. Use asynchronous loading for analytics and ads services, so you’re not dependent on their loading times. Enable browser caching. Reduce the chance your visitors will have to re-download a file they already have on their device. Use a Content Delivery Network (CDN) to send files from global servers that are closest to your visitors. Enable gzip compression for your pages. Keep your files as small as possible by shrinking fatter files. Sound like a lot to worry about? Here at Unbounce, we’ve taken steps to make sure our landing pages hit Google’s recommendations for speed. The best part? We serve up these fixes automatically, with no developer required, so you can focus on your campaigns. With the Auto Image Optimizer and support for Accelerated Mobile Pages (AMP), Unbounce gives you all the tools you need to create a speedier, more engaging visitor experience. Accelerated Mobile Pages are a mystery to most marketers, though 76% have at least heard of them. Despite support from heavyweights like Google and Microsoft, nearly a quarter of marketers told us they’d never heard of the AMP framework before taking our survey. In fact, only 1 in 10 say they have a strong understanding of it. Wait…what are Accelerated Mobile Pages? Hey, we don’t blame you for not knowing. AMP is a simplified HTML framework that lets you build especially fast-loading pages, perfect for creating engaging experiences for your prospects (and keeping Google happy). A lack of understanding and limited developer capacity keep many marketers from implementing AMP. It turns out that 57% of marketers have no current plans to implement AMP, while 23% are still considering it. The complexity of AMP seems to be the biggest hurdle: 64% of respondents either struggle to understand it or don’t have developers who can dedicate the time to it. Takeaway: Speed is good, but AMP is hard. According to our survey, AMP faces two major obstacles: marketers admit they have a limited understanding of it, and developers tend to be stretched pretty thin. Anyone can learn the markup and create these pages from scratch, but the learning curve can be steep. Instead, you can use the Unbounce builder to create lightning-fast AMP landing pages without the grind. 73% of marketers think that improving page speed is either somewhat urgent or very urgent. That’s a good thing because they’re right. It’s unlikely that consumers are going to grow more patient with your pages. In the survey, respondents told us that slow speeds impact their decision to buy: many consumers are less likely to buy, and some will even abandon your site for your competitors. And though a majority told us they’d wait longer than 3 seconds, they’re underestimating their own impatience. You shouldn’t. Simply put, slow page speed is killing your conversions. Despite this sense of urgency, few marketers are making it a priority. Most are dissatisfied with their speeds, but it’s clear that just optimizing images isn’t cutting it. Accelerated Mobile Pages (AMP) are one path to near-instant load times, but more than half of marketers have no current plans to implement the AMP framework. Ouch. 2019 will be the year of page speed for every business marketing online. Companies that can deliver lightning-fast user experiences will see a first-mover advantage—better Quality Scores, higher ad rank, and more leads and sales. It’s time to get faster, marketers. Get faster landing pages now. Stop wasting your ad budget on clicks that don’t even see your content. We’re the leader in landing pages, popups, and sticky bars. Since 2009, we’ve been the conversion platform of choice for marketers. Because we know the impact that page speed can have on conversions, we’re committed to helping our customers deliver the fastest loading times possible. Both surveys were fielded in October/November 2018. The consumer portion of this survey was conducted by Google Surveys and adheres to their standard (and very rigorous) methodology. We targeted users in the general population of the United States using Google’s publisher network and mobile app. According to Google, “First, we use stratified sampling to dynamically target respondents with the goal of matching the demographics of the target internet population. Next, we apply post-stratification weighting to more closely match those same demographics of the target internet population.” You can read more about their research practices in this white paper. The survey asked 10 questions about their online habits and experiences with slow loading times. For the marketer survey, adequate sample size was calculated using Cochran’s theorem.7 We gathered responses using a combination of email campaigns, social media channels, and paid advertising. We then screened for respondents in marketer roles. The survey asked 16 questions about their digital marketing as well as opinions about web performance and AMP. Source: Cochran, W.G. (1977). Sampling Techniques, 3rd edn. Wiley. New York. Start building faster pages with Unbounce today. Choose a plan tailored to your business, 100% free for the first 30 days.